What will my team do? 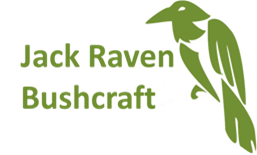 Based on the Kent Downs in a stunning ancient woodland, a Jack Raven Bushcraft team building event will provide your team with a set of fun, informative and challenging tasks based around a realistic survival scenario. Your team will need to plan and prioritise a number of potentially life saving activities, including lighting a fire, building a shelter and making water safe to drink, with only limited tools and equipment. But don’t worry, we’ll provide instruction and guidance as well as keeping an eye out for any hazards. Our team building events offer a fresh, exciting alternative to the norm where your team will come closer together by overcoming real challenges in a safe environment . Our events create a buzz amongst the team and provide water cooler conversations that will last for months. An overnight bushcraft team building event which starts at 10am on day 1 and finishes at 10am on day 2. Both options are run from our expedition style ancient woodland camp, equipped with a heated yurt, workbenches, kitchen area and composting toilet. What will my team get from a Jack Raven Bushcraft team building event? For 99% of humankind’s existence we have been communal hunter gatherers, inexorably connected to our environment. People are ‘programmed’ to work in teams through evolution, it is how we have survived; we thrived in social groups based on co-operation, intricate multi-staged planning and a range of innovative social and communication skills. 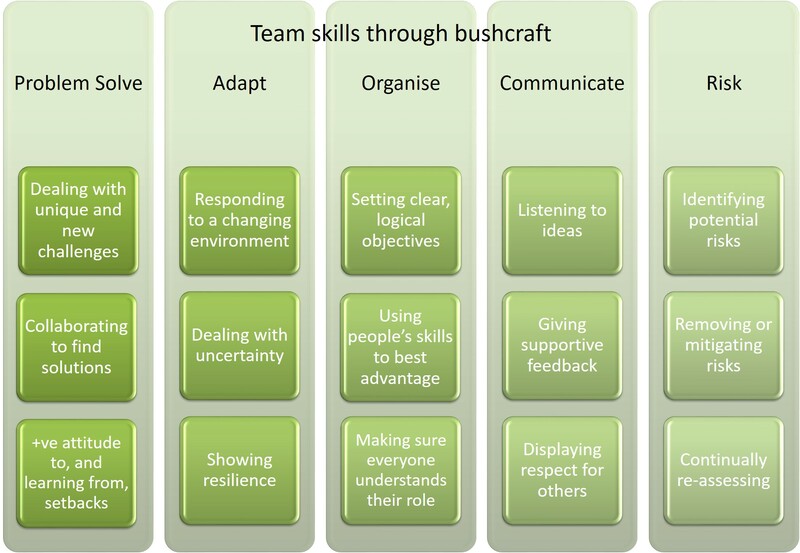 Bushcraft is today’s equivalent of those hunter gatherer societies and is the ultimate in team building. There is no bushcraft activity that can’t be made easier by working together and the synergies become readily apparent to anyone who takes part. In a bushcraft environment, working together is the natural way to do things, without even thinking about it. It’s also a lot of fun, provides endless ‘firsts’ for participants and can have a positive impact that remains for years to come. You can either book here on our website or we can send you an invoice. By making a booking you confirm that you have read and agree to our Terms & Conditions. Fantastic tailored afternoon team building 'survival' activity in the woods, concluded by a terrific BBQ. Wonderful time had by all and would wholeheartedly recommend it. Sincere thanks to Gary and the team! Our Natural England volunteers enjoyed last year's event so much that we were very pleased to be able to arrange a further event with Gary & Nicola this year. This time we went to Jack Raven's base set in beautiful woodland. We learnt knife carving skills & created some small useful cutlery items - everyone having the opportunity to make something quite unique! A plentiful outdoors cooked lunch and a tour of some of the wood, learning ID & usage for the trees there, meant the day went too quickly! Thoroughly enjoyable & lots of smiling faces - what more can you ask for? Gary & Nicola came out to the reserve to show us the art of fire lighting, fire laying, making wooden clubs,splitting wedges & preparing logs for firewood/ kindling. This naturally involved instruction in the use of small hand axes - a skill which seemingly was quite daunting to some but by the end of the session I'm guessing one or two of those added an axe to their Christmas lists! The various fire lighting techniques introduced at least one never- before - encountered method to even the most hardened arsonist amongst us!! Fascinating. Tuition is in a very relaxed informative style with time being readily taken to explain to individuals that needed extra help to achieve their finished product. Bearing in mind that Gary & Nicola were off their 'home turf' the day was seamlessly adapted to the materials we could provide. The only disappointing part of the day was when we had to finish! Natural England Stodmarsh NNR Volunteer Bushcraft day. Much fun had by all and we learnt loads, especially fun hacking away with the axes, making our own tools and using them to split some pretty stuborn logs. Cooking on our own fires was good to. Everyone left with a big smile. A brilliant team building day; very well organised, pitched at absolutely the right level to include all abilities and excellent value for money. Everyone came away feeling a sense of accomplishment and having learnt a new skill. The food was just fantastic – a wonderful surprise for those of us who thought that cooking on an open fire usually meant just eating sausages, and the Tai Chi was incredibly relaxing out in the open air. The natural beauty of the woods and the fact that we were removed from the everyday pressures of work and life meant we could all relax a little and enjoy the freedom – I think we all rediscovered our little bit of inner child!! A massive thank you to Gary and his team for organising and putting up with us all!